Spending a day at the beach, pool, or park comes with its own set of challenges…and we’re not talking about how much watermelon you and your cousins can eat. We’re talking about those times when you need some relief from the sun, and you can’t make a shade tree appear out of thin air. 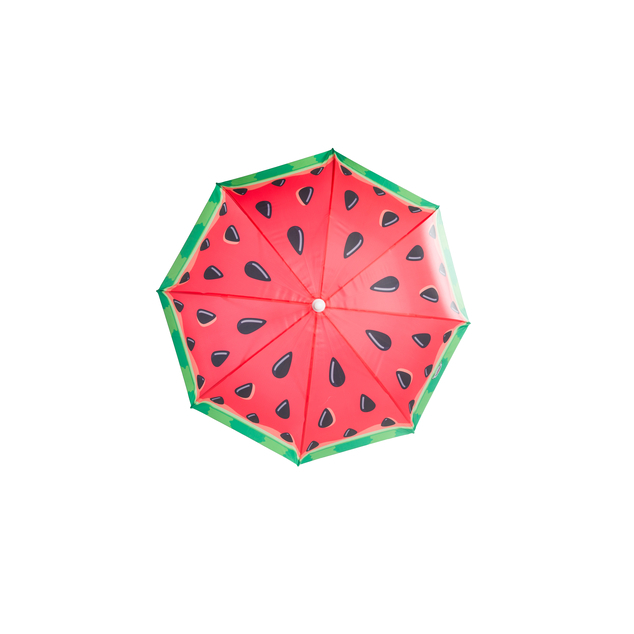 Our Juicy Watermelon Beach Umbrella gives you the shade you seek while setting you apart from everyone else in the patch. It’s bright and vibrant, marking your own little “slice” of the beach with some summer style. Seriously—how much easier would it be to find your beach spot with this umbrella? The umbrella is adjustable in height—up to 6 feet—so you can sit, lay, perch, or pass out in the shade regardless of your height. The tip features a sand spike that, when inserted into the soil or sand, keeps it upright and hands free. 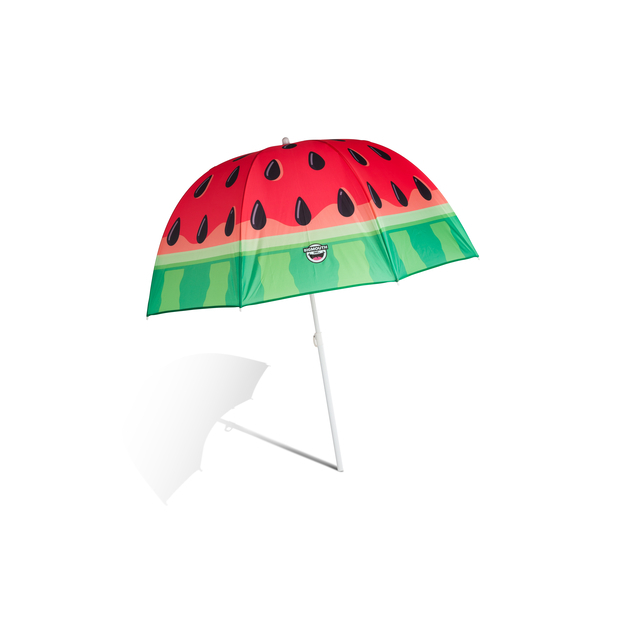 The Watermelon print is 4 feet across to create a generous, wide-reaching shady spot. Don’t forget the beach blanket or pool float!